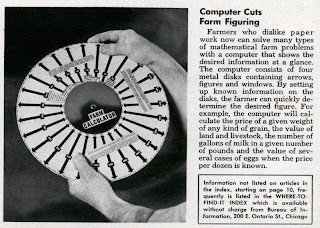 This image came up in my feed this morning from Modern Mechanix -- and it ain't so new. Merchants in the sixteenth and seventeenth centuries used wooden sticks, nesting paper wheels and booklets full of charts. Of course, an image searched turned up zip, except a few astrolabe volvelles used for calculating time, lunar phases, various other necromanical oddities. I've seen an awesome example of an early calculation book at the MIT archives, but they're behind on their cataloging. 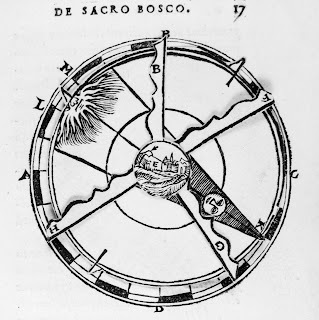 This one, which calculates lunar eclipses, is from a sixteenth-century edition of Sacrobosco's De sphaera.